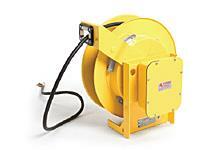 Industrial-Duty Cable Reels are designed for the most demanding of indoor/outdoor industrial applications. Industrial-duty cable reels such as Pow-R-Mite® and Pow-R-Matic® are spring-powered reels made of precision electrical and mechanical components to accommodate up to 97.5m (320') of 16 AWG cable or up to 54.9m (180') of 1 AWG cable. Cable reels have NEMA-4 rating for indoor and outdoor use to protect against water and corrosion for weather and dust resistance. 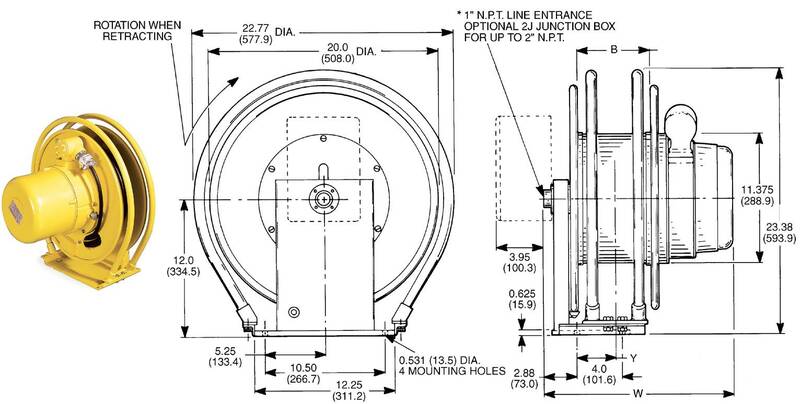 Precision collector rings can be specified for up to 36 conductors. 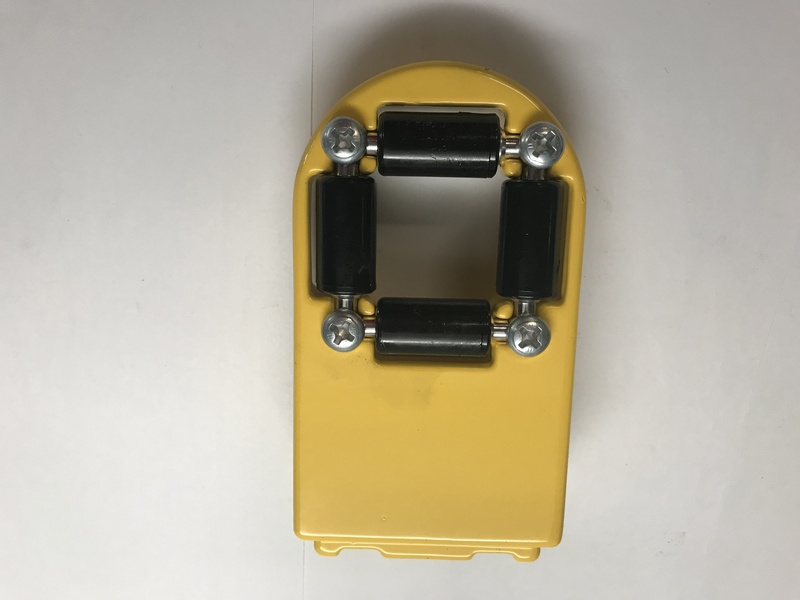 Industrial-duty cable reels are suitable for applications where portable lighting is required and in areas needing movable power, such as mobile electrical equipment. These reels are available with or without cable and accessories such as hand lamps and pendant boxes. - Dimensions: (190LBS) H 27" L 26" W 27"
- (188LBS) H 27" L 24" W 27"
Dimensions (138LBS) H 27" L 20" W 27"
(45LBS) HO 12" AL 18" NW 16"
Adjustable cable guide with anti cable "lock-out"
(60LBS) H 22" L 24" W 20"